October 18th to 24th is Small Business Week in Canada. Every year, organizations across the country mark the importance of entrepreneurship to our economy. This year Small Business Week was kicked off with a wholesale change of government and there was lots of talk about small business during the campaign. The health of the small business sector is critical to the economic success of the country. The Canadian Federation of Independent Business (CFIB) is proud to provide a strong voice for our 109,000 members to ensure their opinions are heard when politicians are making decisions. So what does this Liberal majority mean for small business? There is both good news and some cause for concern. During the campaign, the Liberals committed to reducing the small business tax rate to 9% by 2019 and to reducing employer Employment Insurance (EI) premiums from $2.63 to approximately $2.31 in 2017. 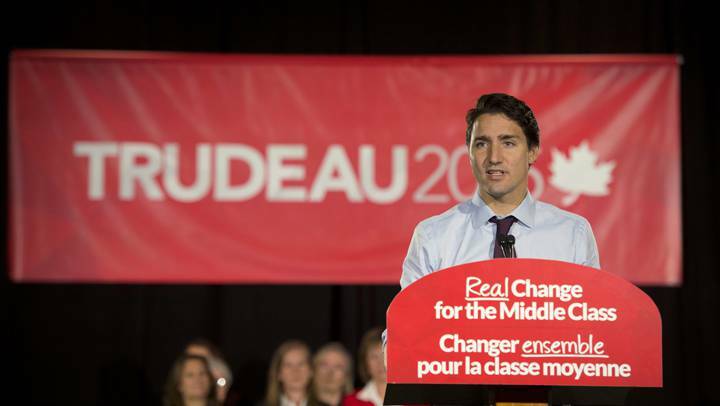 We also like Justin Trudeau’s plan to waive EI premiums for new jobs for young people for the next three years. This will certainly encourage hiring in a segment of the population that can use a leg up. The Liberals have also promised to maintain the Canada Job Grant while reinstating the federal-provincial Labour Market Development Agreements. According to their platform this will provide the provinces and territories with half a billion dollars per year in skills training. CFIB also supported two recent Liberal MP Private Members Bills including Emmaneul Dubourg’s bill to allow small business owners to pass their business to their children free of capital gains and Ted Hsu’s bill to bring back the long-form census. These are all good measures. On the other hand, there were a couple of red flags. The comment made by Mr. Trudeau suggesting a large percentage of small firms are used as tax-shelters requires clarification. The vast majority of small firms are legitimately using the small business deduction. If Mr. Trudeau was talking about ensuring that the deduction is not being abused, we can support that position. If there is a move to limit access to the small business deduction, as is taking place in Quebec, CFIB will raise strong opposition. CFIB is also concerned about the Liberal plans to increase CPP premiums. We will be asking the new government to put this idea on hold until the economy is in better shape. Because CPP premiums act as a tax on every dollar a business pays to its employees, it is a big disincentive to hiring at a time when the economy needs just the opposite. CPP expansion is currently our members’ number one area of concern and we will be reaching out to learn more about the Liberals’ plans. We are hopeful this new government will take note of our members concerns. Most have a direct impact on the bottom line of small firms and in turn the success of the Canadians who run them and are employed by them. Now, with the election behind us, this week we want to focus attention on the importance of small business to our communities. On October 24th, CFIB is sponsoring Small Business Saturday to encourage the community to recognize the contribution of our local entrepreneurs by making a conscious choice to support local business. We are asking you to take some time this Saturday to cast a vote for small business in your neighbourhood. Drop in for a meal, listen to some music, purchase a gift, get some groceries, have your hair done, drop off the dog for grooming or pick up that item you need for your home. By supporting small business in your area, you are supporting your family, friends and neighbours. These are the same folks who often sponsor your kid’s sports teams, local cultural events and community projects. At CFIB we believe small business makes Canada a better place. We hope this Saturday you’ll make your part of Canada a better place for small business.